EAM Sushma Swaraj on why she's using the prefix Chowkidar: "Because I am doing Chowkidari of Indian interests and Indian nationals abroad." It must be noted that the prefix was added by the Bharatiya Janata Party (BJP) leaders on social media after Prime Minister Narendra Modi launched the ‘Main Bhi Chowkidar’ campaign earlier this month. Sushma Swaraj’s comment came after an attack on an Indian couple in Germany’s Munich. An Indian man named Prashant Basarur died and his wife Smitha sustained injuries after being stabbed by an immigrant in Munich. The incident came to light after External Affairs Minister (EAM) Sushma Swaraj took to Twitter to share the unfortunate incident. The couple was attacked by the immigrants at around 7 AM on Friday when the duo got involved in an argument with a 33-year-old from Guinea who resided in the same building as that of the Basarurs. The couple has two children, Saakshi and Shlok both are under the care of the Indian mission office in Germany. 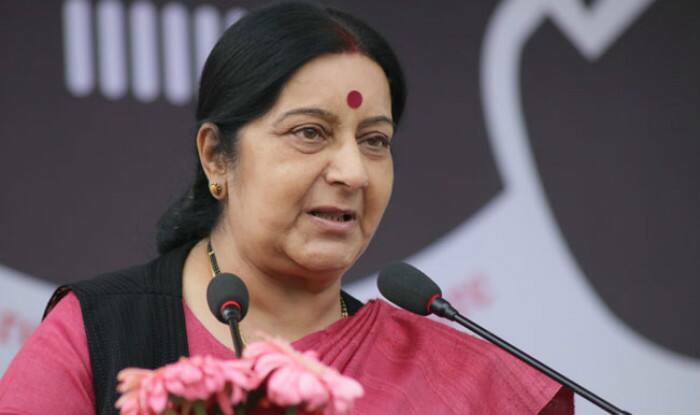 The EAM said she has asked Indian mission in Munich to take care of their children. “I appreciate the good work by @cgmunich. I have asked our mission to take care of their two children,” she had tweeted later.